Spring and summer are pavement maintenance seasons, which means it’s a great time for seal coating. Did you know that a key component of a successful seal coat is the additives that are used to create a cohesive mix? 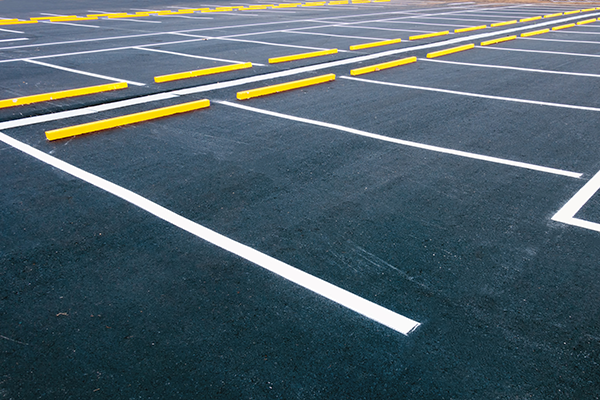 Aegis Asphalt Sealcoating uses additives in our sealers to ensure that our clients’ driveways, parking lots and pavements look their best year-round. Why should you use sealer additives? Sealer film is one of the most difficult things to control when sealing pavement. Water is essential to seal coating to dilute to the manufacturer’s recommendations, but overdiluted sealers can ruin your final product by reducing the viscosity of the liquid, and thus making it easier for heavy particles like sand and fillers to sink to the bottom of the sealer mix. This is where additives come into play. How do sealer additives work? Additives are designed to suspend the sand in the sealer film so that the particles may fuse to create a tight seal through the hydration and curing process. This creates a uniform surface film. The next concern then, after mix consistency, is the drying period for the seal coat. As the sealer dries, the bottom layer is typically the last to cure, but with additives, such as those that use nano-cure technology (molecularly generated heat) dry the sealer from the bottom layer up, which helps to create a uniform film. Aegis Asphalt Sealcoating uses FASS-Dri by Maintenance, Inc., an additive that uses nano-technology. This particular additive helps to reduce severe cutting or tracking of the sealer through an action called ‘fugacity.’ Fugacity is the escaping tendency of a substance from a system of diverse ingredients. We use Maintenance, Inc.’s additives because they are a mix of proprietary surfactants, anti-stripping agents, and sand suspending agents. They fortify the sealer film by reducing surface tension and by adding flexibility, which helps to prevent raveling and moisture damage. Additives thus extend the life of your seal coat. They also give the sealer the deep black color you want in a freshly sealed pavement. Additives are just one of the ways that we set our seal coating services apart. If you have additional questions about sealer mixes, sealer additives, or if your pavement needs a fresh seal, contact us. We are your local seal coating experts in Eugene and Springfield and we’ll be happy to assist you.